Embrace the latest innovation in photo editing. New Color gives you cutting edge tech, so you can remaster, retouch and recolor photos like a pro. 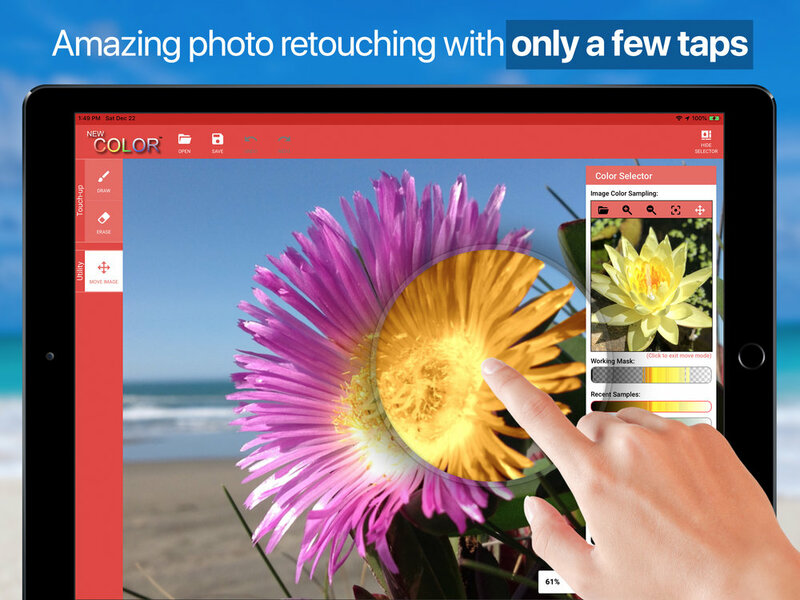 Imagine flawless and super-easy photo retouching and recoloring with your fingertips. That’s how New Color feels! It gives you photo edit features to replace every color in your image and add a vibrant new look to your favorite color or black and white photo. From adding colors to black and white photos to changing shirt or even eye colors, there are so many different uses of New Color. Any photo can be retouched and recolored in seconds with its own flair and charm.